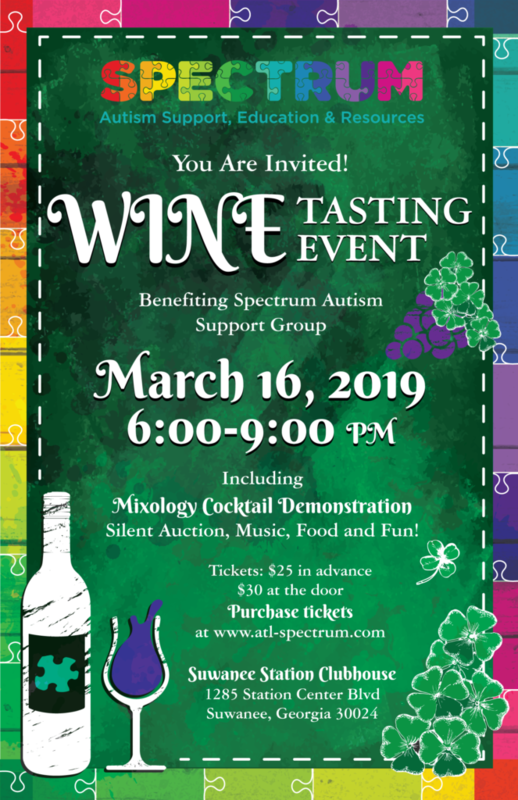 Join us for our Wine Tasting Event benefiting Spectrum! We'll have fun mixology cocktail demonstrations, a silent auction, live music, food, wine grab bags and lots of fun! Wine, beer, cocktails, tea, lemonade and water will be served along with fabulous food! Buy your tickets here for $25 each. Tickets: $30 at the door.